Towards the middle of the 1990s Deng Xiaoping, leader of the Chinese Communist Party and a pioneer of the economic reform that has brought China to its present state of development, drew an ideal circle around a place on the southern coast, the Pearl River Delta, at a zone known as Shenzhen. The first “Special Economic Zone” had the primary goal of becoming a manufacturing area for exports. Over the years, Shenzhen became a sort of ‘middle ground’ between Hong Kong and the continent, taking on a symbolic role as the ‘gate’ to China, for the entry of foreign investment and for business initiatives from all over the world. The growth of the country with the transition from a planned economy to a market economy, in keeping with the anomaly of a model of capitalism with Chinese characteristics, is reflected in the urban planning of the Shenzhen area. Twenty years ago the city had a population of about 30,000 inhabitants, with edification spreading over about three square kilometers; today the inhabitants are close to nine million, and the urban area extends for 79 square kilometers. This unprecedented, exponential growth has been substantially without unified orchestration, without an overall idea of urban design. 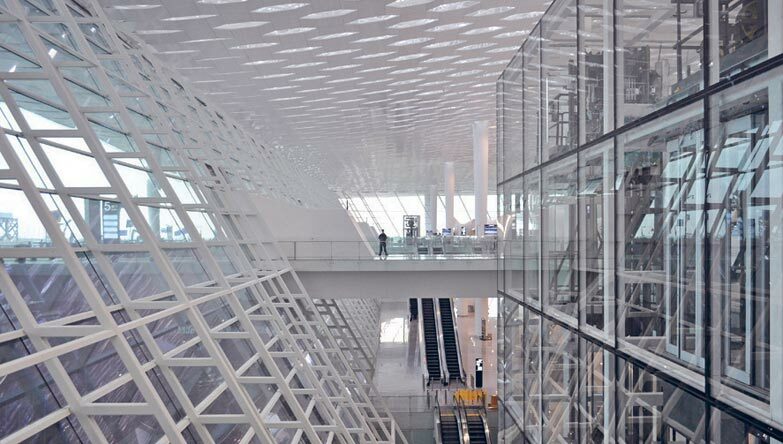 The new Terminal 3 designed by Massimiliano & Doriana Fuksas also adds record-setting factors: it is the largest public building in Shenzhen, organized under a sculptural roof sheltering about half a million square meters of space, with 63 gates, to handle the movement of about 45 million passengers per year. 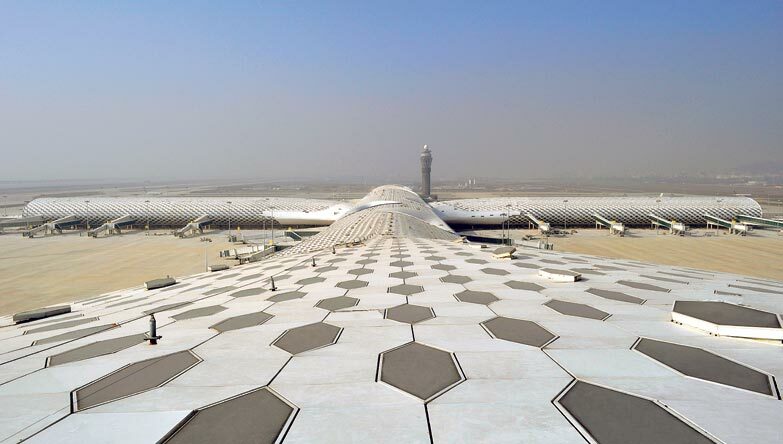 A work of architecture on a territorial scale, about 1.5 km in length, an outstanding landmark of reference and order, thanks to the cruciform layout that is a reminder not so much of an airplane, Fuksas points out, as of a Fuksas “a manta, a ray that breathes, changes form, with its own gentleness, bending, undergoing variations, capturing light, emitting light, filtering the light that enters.” In effect, the project (winner of an international competition with participants of the caliber of Foster Associates, Kisho Kurokawa, GMP International, Foreign Office Architects, just to name a few) with its double white skin that forms, sculpts and develops the overall enclosure seems to welcome visitors into a zoomorphic space, which like the belly of the great fish that swallows the prophet Jonah functions as a filter between the voyage and the arrival in the new world. One feels protected under the great shaped vault, sculpted by hexagonal signs that filter the light from above, creating a play of reflections on the shiny floor. A single glance suffices to grasp the vastness of the space, the long perspective of the rectilinear route, the figure of the indoor street that opens at its ends with large glazings facing the runways and develops on three levels in the central point of intersection between the two orthogonal volumes of reference. 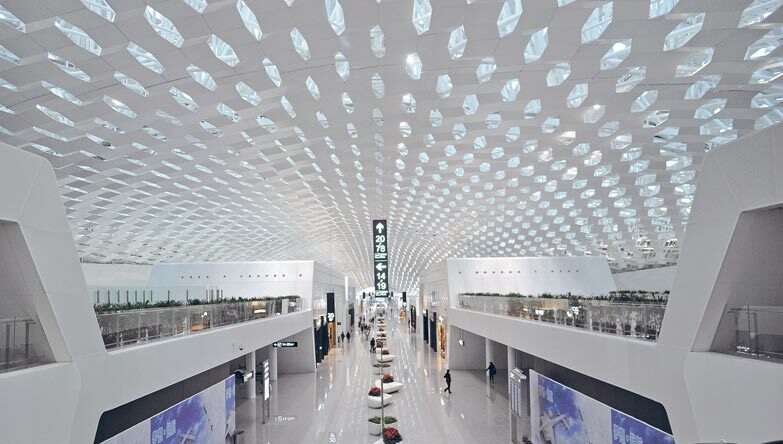 The airport emphasizes its role as the gate to the city of the new millennium – a symbolic as well as functional place – which this project fully interprets on the scale of a convincing work of Land Architecture. 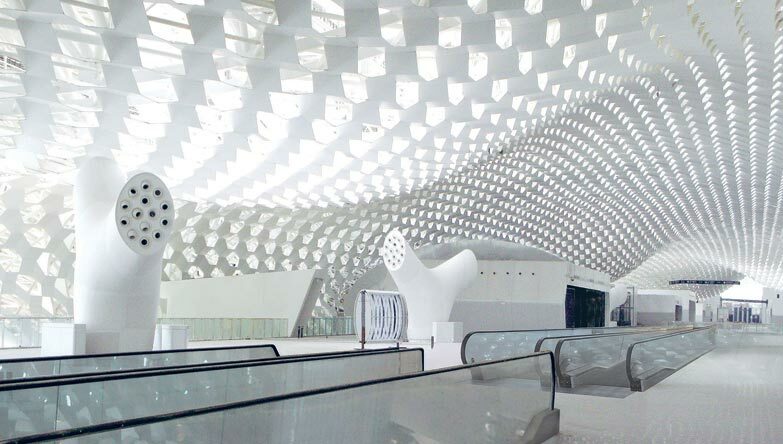 As Fuksas says: “The airport is the city of today […] it is a linear structure, a long route, a walkway. 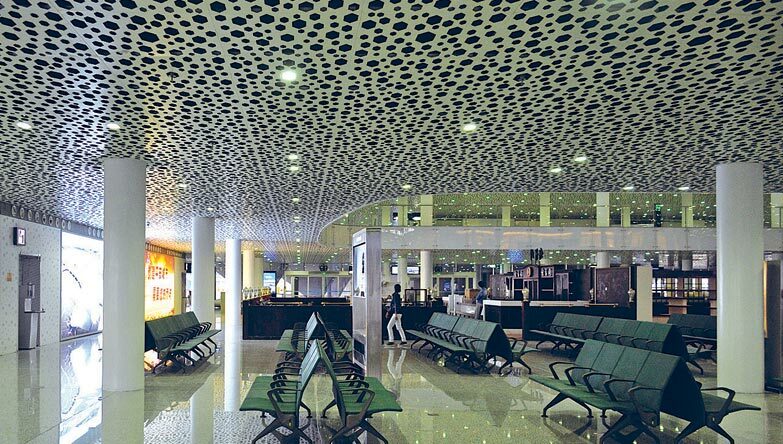 Today airports have to be macrostructures that restore the quality of life of people. 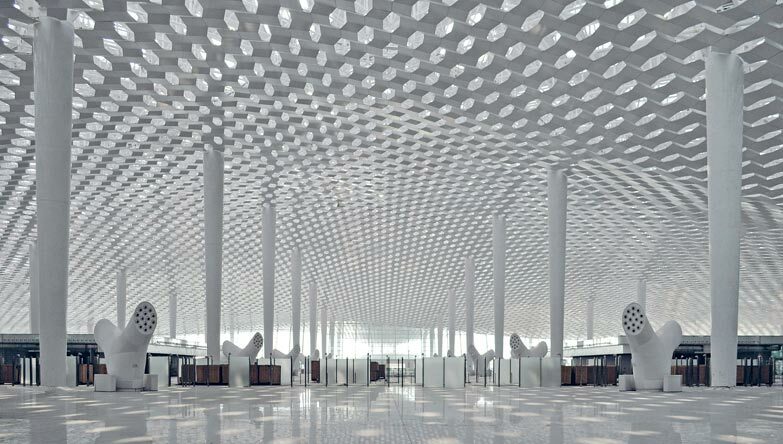 Our Chinese clients asked us to make an airport, and to do it thinking about the people inside it, to create a place where you can feel good even if your flight has been delayed.” This is the world of infrastructures, which today as in the past offers a chance to experiment with new scales of intervention and new figures. Airports, of course, but also bridges and highways, tunnels, junctions and railway lines, are all functional features, ‘service architectures’ that have to stand up to increasingly intense flows while at the same time, and above all, giving them form, providing what are often the only elements of orientation and reference in a particular context. Constructions charged with identity in manmade landscapes, whose increasing size and globalization sometimes translate into dangerously anonymous standardization, a trend the design of Shenzhen Bao’an manages to firmly reject.